Stylish ballpoint pen from the Cerruti 1881 brand and featuring a polished chrome plated finish on both the body and detachable cap. 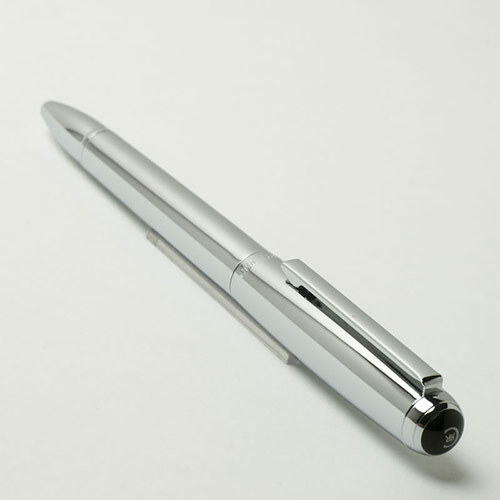 Ideal engraved as personalised gifts or corporate branded merchandise, offered with text and/or logo engraving options. 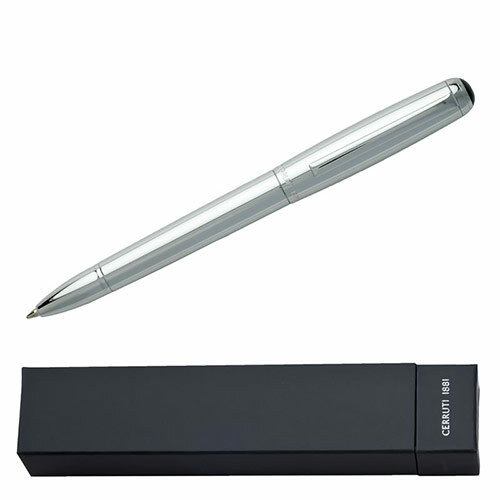 Each of these blue ink Cerruti chrome ballpoint pens are supplied in a Cerruti branded presentation box.